Zero VAT Item. 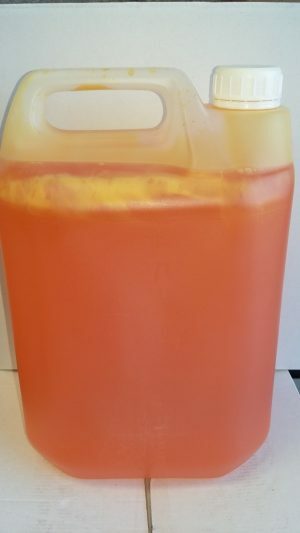 - This cost effective Banana topping sauce comes in a 4.54 litre drum and is available in 10 yummy flavours. Zero VAT Item. 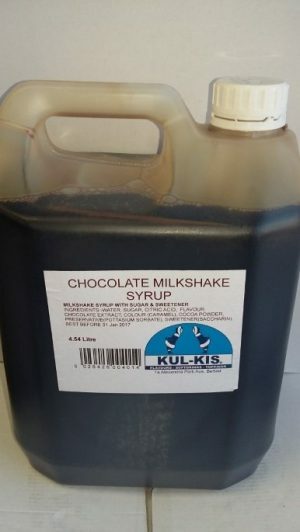 - This cost effective Chocolate topping sauce comes in a 4.54 litre drum and is available in 10 yummy flavours. Zero VAT Item. 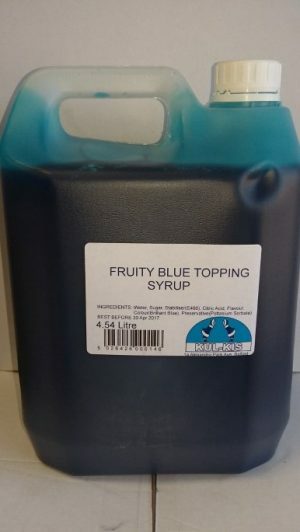 - This cost effective Fruity Blue (Bubblegum flavour) topping sauce comes in a 4.54 litre drum and is available in 10 yummy flavours. Zero VAT Item. 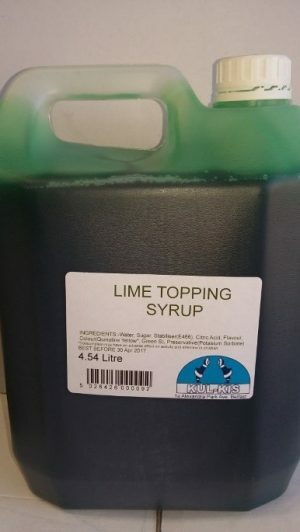 - This cost effective Lime topping sauce comes in a 4.54 litre drum and is available in 10 yummy flavours. Zero VAT Item. 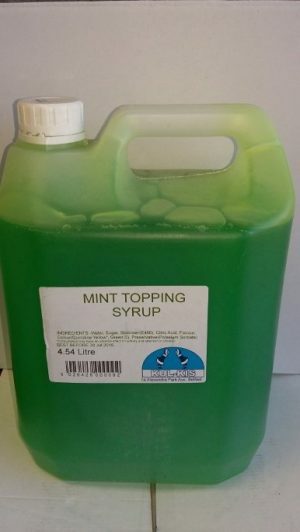 - This cost effective Mint topping sauce comes in a 4.54 litre drum and is available in 10 yummy flavours. Zero VAT Item. 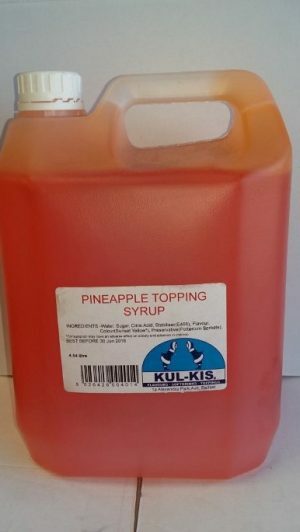 - This cost effective Pineapple topping sauce comes in a 4.54 litre drum and is available in 10 yummy flavours. Zero VAT Item. 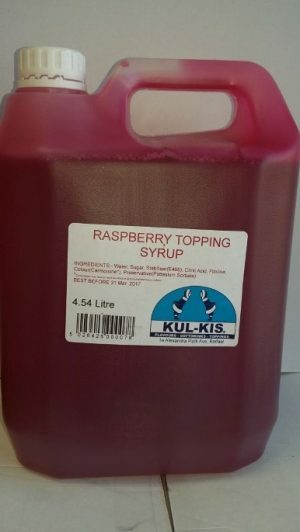 - This cost effective Raspberry topping sauce comes in a 4.54 litre drum and is available in 10 yummy flavours. Zero VAT Item. 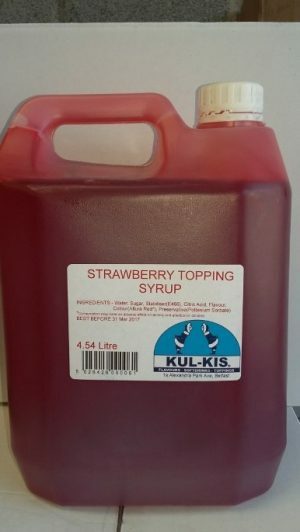 - This cost effective Strawberry topping sauce comes in a 4.54 litre drum and is available in 10 yummy flavours. Zero VAT Item. 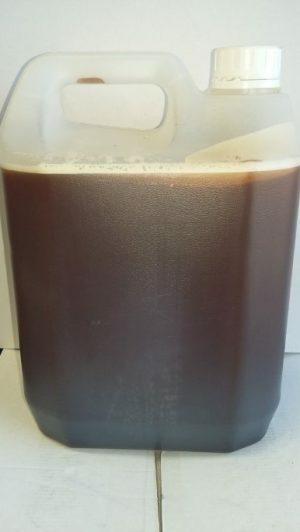 - This cost effective Toffee topping sauce comes in a 4.54 litre drum and is available in 10 yummy flavours.